Without a doubt, this poem speaks to me. It speaks mostly to who I used to be, or the person I am trying to grow from remaining as. These days I have better tools available to fight those feelings of inadequacy that swim up to battle my newfound way of thinking and believing. However, often those tools are a touch rusty and in need of a polishing. So for a moment a sneaky question of “am I good enough” and “am I wasting my time” manages to seep through, both within conscious and subconscious musings about life. Those thoughts mostly come when I find myself looking at the changes that others are making and not so much the “strain“ that I sometimes feel within my particular development. When I am settled in my personal achievements (many times small but hopeful), those despairing thoughts hardly ever flicker into my consciousness. So I suppose that sometimes when I see a friend sharing pictures of him or herself with someone special, I wonder about my loneliness. I wonder was there anything I could have done differently in my last attempt at dating, so that I could now own the option of calling someone special up for a stroll downtown. Alternatively, when I hear about friends getting that new car or new apartment, I wonder about my song. I wonder is it too much to believe those material things are possible for me, or am I just too lazy to go out and get them. When coworkers walk away from the job to embark on a new opportunity, I wonder about my dream. Dreams that have flip-flopped and dangled, missing those "aged appropriate" deadlines I’ve given them. This is bull by the way. Toni Morrison published her first book in her 40s. Like a lot of people, these realities (or not so realities according to how they were achieved) bug me also. Sometimes I just sit in an empty space watching, what I feel like is life, happening to the people surrounding me. Meanwhile, I feel uncertain, unsure about my present and future situation. I began to wonder, what can I do and why do I not know what to do? So we’ve all been there. Hell, it’s life. You chew it; you swallow it; you go find something else. Then I realize that these thoughts are probably more cyclical than we think. See, you have to consider that others take personal note of the achievements you make. A friend might feel a certain type of way because I’ve managed to love and accept myself in all of my singleness. I had the guts to tell someone who hurt me that I'm not putting up with pain any more. Or that I am brave and confident enough to stand on my own. Others may feel that my well-running car and reliable living situation warrants an envious eye. Then there are those who may find new jobs but not the direction that is fit for them. Meanwhile, I work the job I can hardly stomach while putting in work opening myself to others through my creative talents. Or in essence, I’ve developed my path by following my bliss that will eventually lead to bright prospects. So it goes around in circles. We all do the best that we can with the tools and information that we are given. One day, we all will get there, and if applied correctly, can be motivated by the achievements of others. 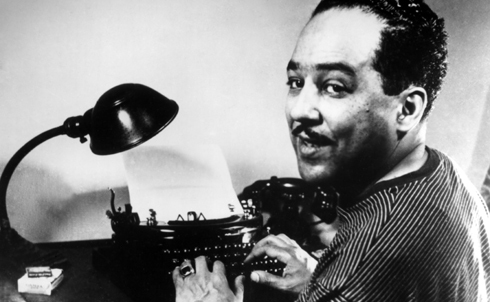 However, at the end of the day I ask myself the same questions Langston Hughes’ “Tell Me” ask. We all do. It is something so deep it anchors into our core. Blame our culture or our being human, but we well always ask these questions about ourselves. However, instead of asking "why" we would do better to recognize and be proud that we have a story to tell all our own. I'm finding much of that in blogging.